I Want My Look and Feel Great Expo T-Shirt! It is hip, cool and funky. 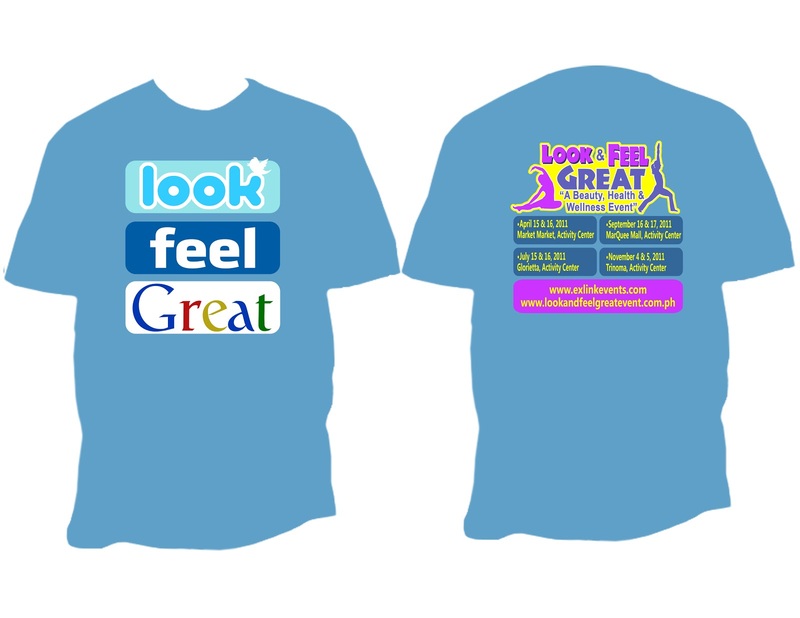 A T-shirt design that is up to the times -I am talking about the Look and Feel Great Expo T-Shirt. Good news is you can have one of these limited T-Shirt when you purchase a product at the Look and Feel Great Expo, you automatically have a raffle stub and it will be drawn during the day of your purchase. Indeed, it is a great and exciting way to win and join raffle prizes. You buy, get a raffle ticket and wait for the hour it is drawn, winners are announce; if you are one of them, you take home the T-shirt – it is that easy! So do not miss this event and be there at all cost!